Sometimes it just feels like you are getting nowhere... maybe even heading backwards... and then you turn a corner and think Yes... I can see that light at the end of the tunnel. 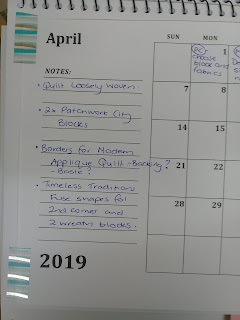 Last month was not so good in the ticking off of lists department. Partly because of the items I had chosen on my hit list. 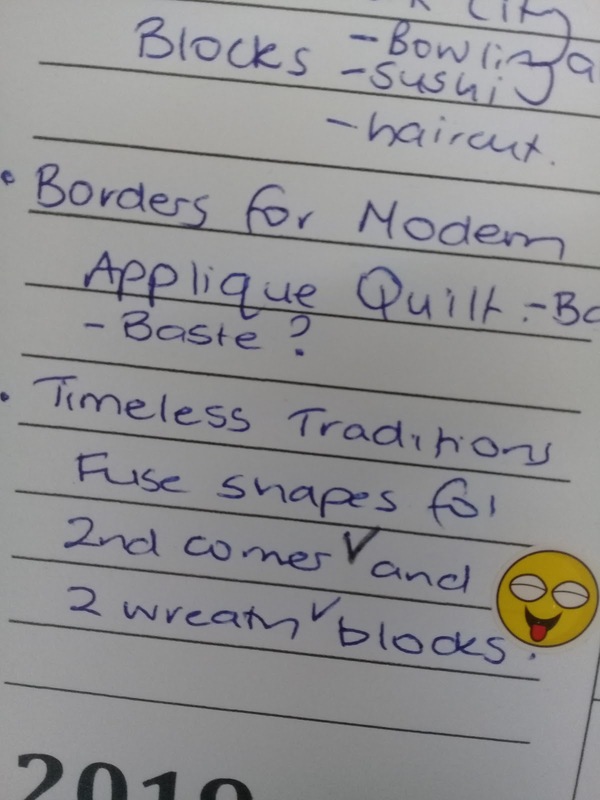 Really... make significant progress on two major applique projects?? Like was that ever going to happen. 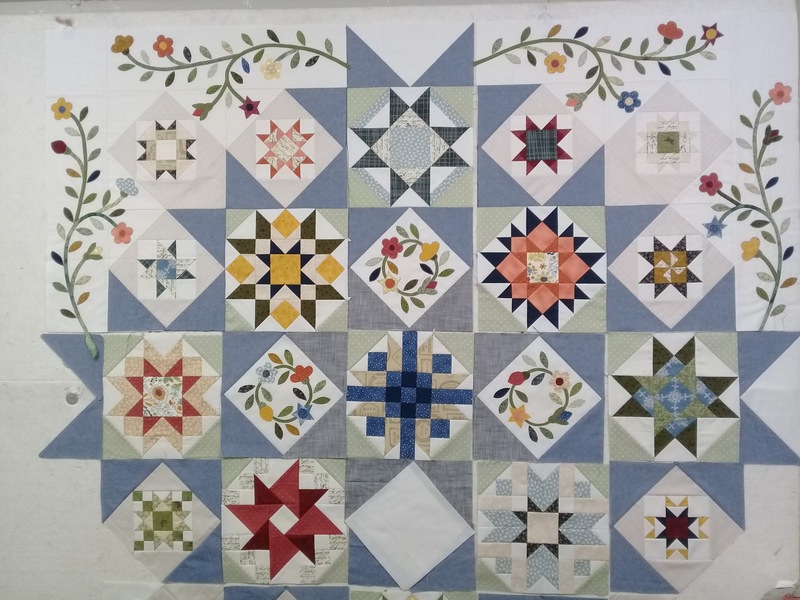 After feeling like a failure for two seconds, then reassessing and altering my goals meant that I changed one of the overall block goals into just finishing sewing down the bias stems, and completely wrote off the second project. Manageable chunks! 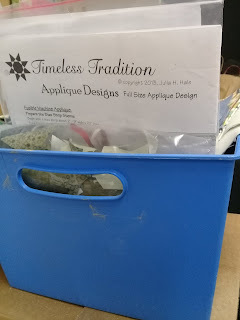 With this under my belt, April's goal was to get the fusing side of the applique finished for the second corner of the Timeless Traditions BOM and get two of the wreath blocks fused also. So good to stick that smiley face on! And I can already see next months goal will be to finish the blanket stitch on these sections. I may not be whizzing through this process, but it is getting there! Also progress has been happening on the Loosely Woven quilt. Woohoo! 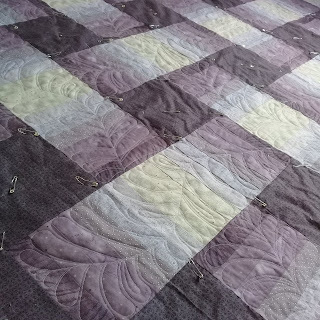 I have finished the quilting on the striped sections of the top. 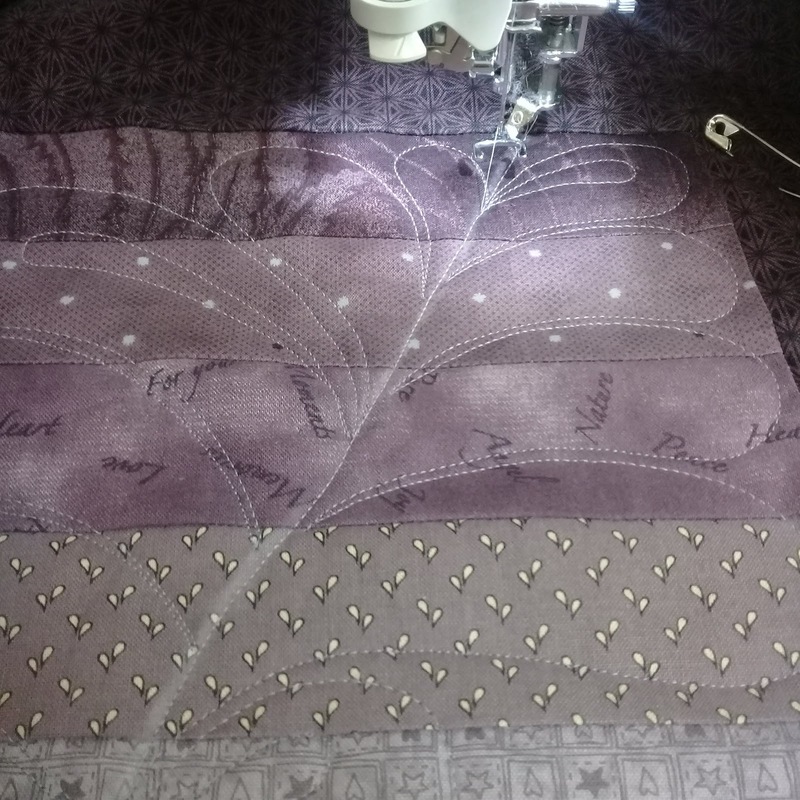 Working these feather designs pushed my boundaries as far as the width of feather I am comfortable quilting... there are definitely some weird shaped ones in the mix, but luckily the worst are hidden in the most thread blendy areas. 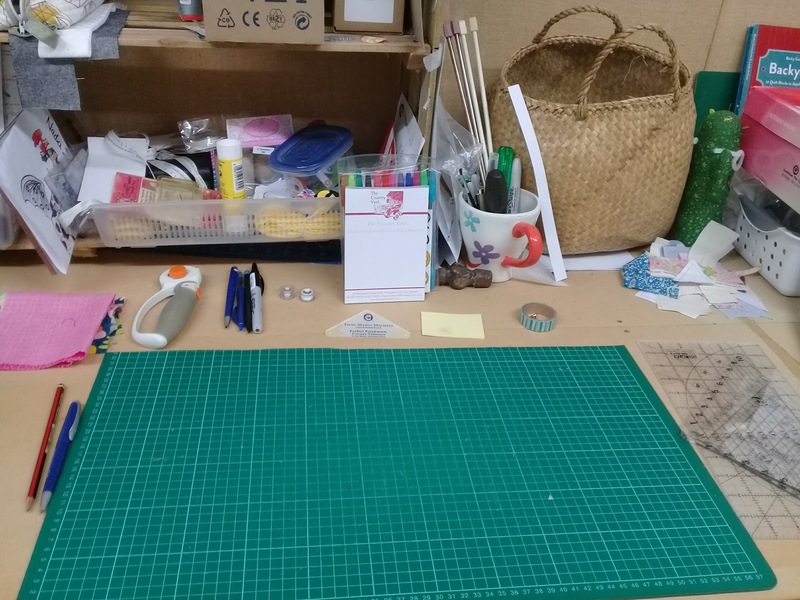 And I actually got a small amount of tidying accomplished so I can once again see my cutting mat and surrounding area. Partially due to packing this stuff away into a box. 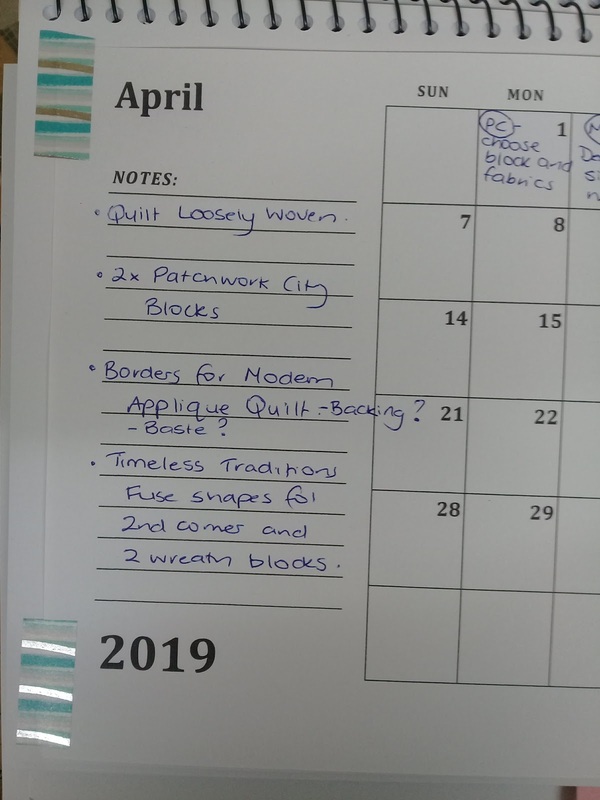 Now that I have my thread sorted for Loosely Woven, my main goal for the month is to get some serious quilting done. 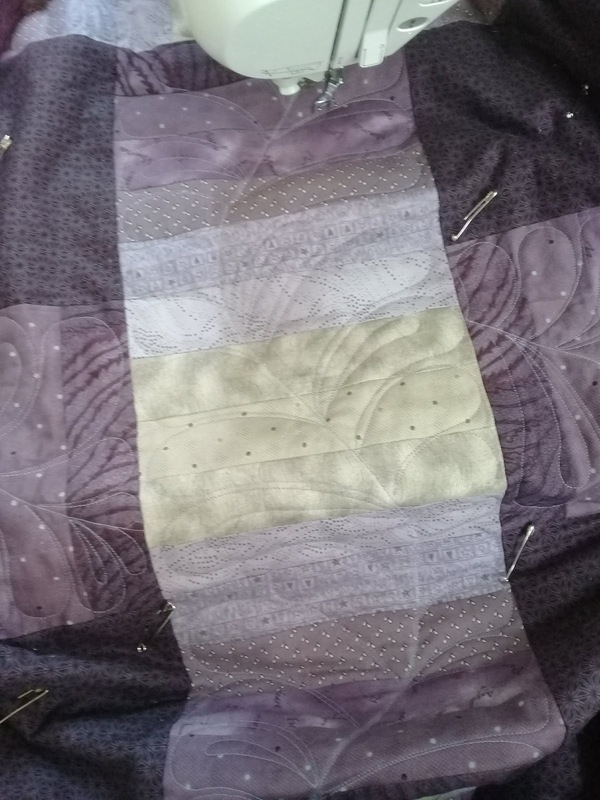 I decided to do large feathers through the striped sections, working the design to emphasise the woven effect. 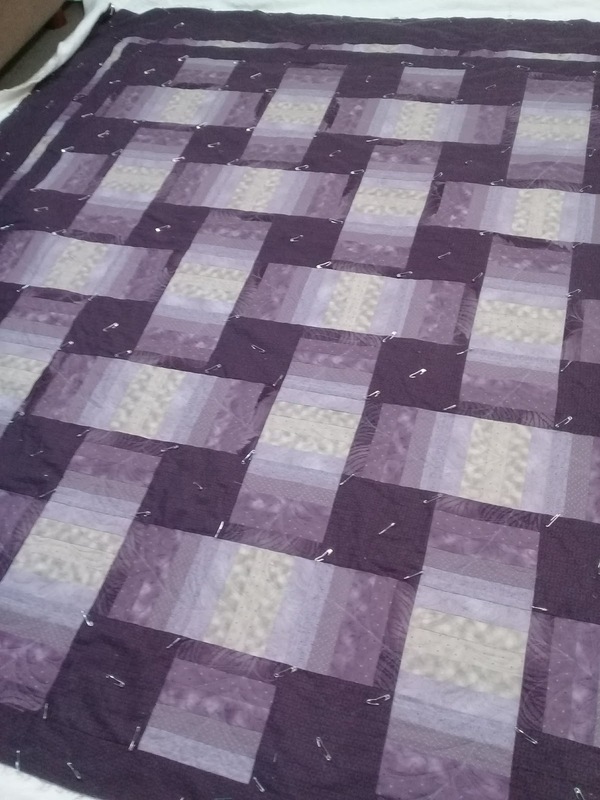 I have a few areas where I have both the warp and weft lines quilted and it does kind of work. And I had a play with alternative layout options. I quite like how the blocks look on point, as they are almost unrecognizable from the straight setting. 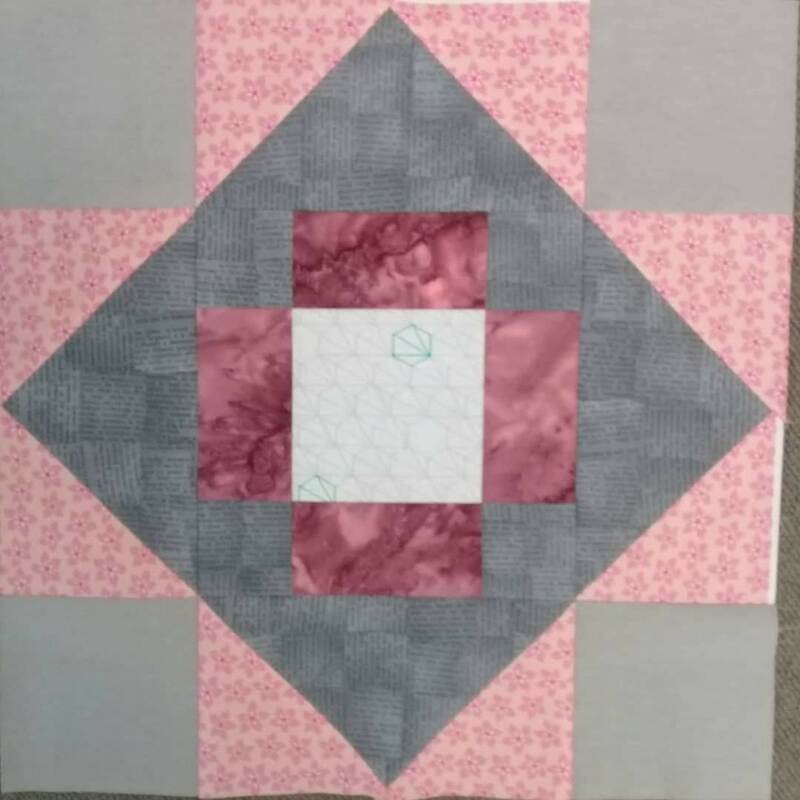 But, to do this layout I would need to work with an uneven numbered grid to keep it symmetric, but a 3x3 grid is too small, and a 5x5 would be too big. 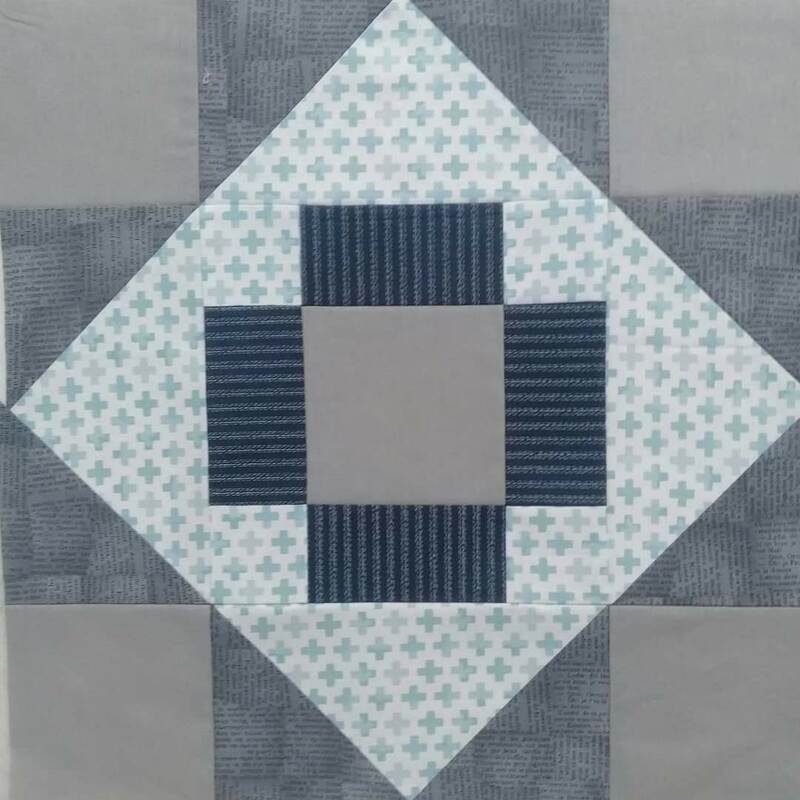 I need to keep thinking about this, but might just go back to the pattern layout, and consider this alternate layout with a smaller block size. I'm aiming to get 2 of the Patchwork City blocks finished this month... only 5 left all up, so this project is getting closer to completion. 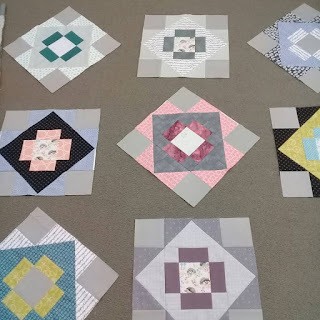 So far I have chosen and ironed fabric for the first block, and chosen which units to sew. I would like to get some new borders sewn onto my modern applique quilt and possibly get it basted. On the drawing board at the moment are which fabric where and how big decisions... and working out if I have what it takes for a pieced backing. 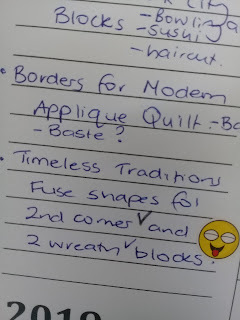 And I really would like to get the 2nd applique corner fused on Timeless Traditions. My applique has definitely taken the back seat in the last couple of months; so achievable goal set... and locked in.